Gobble! Gobble! 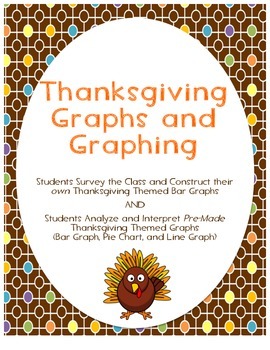 Students will survey their classmates on Thanksgiving topics and then construct their own bar graphs. They will answer questions about their graph. There are 3 different survey/graphing activities. 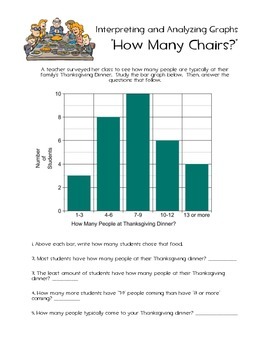 Students will also analyze and interpret 3 already made Thanksgiving graphs and answer questions about them (bar graph, pie chart, line graph). - Raccoons and Ripe Corn- Literature Activities!